The NHS reportedly spends around £2 billion each year on dishing out medications to combat high blood pressure. The University of Manitoba study offers hope of a cheap alternative. High blood pressure remedies are right in your kitchen. Research confirms spices effectively lower blood pressure. Do saunas help decrease risk of high blood pressure? In Finland, sauna bathing has been practiced for centuries, either for pleasure, but more importantly also for reasons of hygiene and maintenance of health. Many curative and magical eﬀects have been attributed to its practice and seldom has it been thought to cause any disease. The benefit of the sauna lies in its increased temperatures. Heat therapy has many beneﬁts for human physiology. Take it from a doctor: It is possible. Lowering blood pressure naturally is possible with a few healthy habits – and not being too restrictive. Use this superfood breakfast smoothie as a delicious and healthy way to lower blood pressure. It's perfect for breakfast, lunch or a quick snack. Make up bags of frozen fruit and add yogurt and orange juice for a quick and easy breakfast that's ready in a snap! Ever feel overly stressed? Like you're going to blow a fuse or simply 'lose it!'? You're not alone... stress has a weird effect on us at times... and one of the best indicators of stress is high blood pressure. You may be wondering... What Is High Blood Pressure? Heat Exposure For High Blood Pressure? An international group of researchers has demonstrated that sauna bathing for 30 min reduces blood pressure and increases vascular compliance, while ‘also increasing heart rate similarly to medium-intensity exercise.’ The findings are published in the Journal of Human Hypertension and the European Journal of Preventive Cardiology. If your blood pressure is too high, there’s an alternative to cutting salt. One key nutrient fights hypertension. HIGH blood pressure symptoms can be hard to recognise, so it can often go undetected. But left untreated, hypertension, as it’s also called, can increase your risk of serious problems. Here are four ways high blood pressure can damage your body. Here are seven surprising causes of high blood pressure and hypertension you probably didn’t know about. Learning to measure your blood pressure at home can be one the biggest ways to naturally lower blood pressure without other interventions. Learn more about it in this article. If you do have high blood pressure, there are ways that you can have lower blood pressure without having your doctor reach for their prescription pad. We know lifestyle can affect blood pressure levels. There are some easy steps we can take to reduce our blood pressure that is easy and effective. High blood pressure can lead to heart problems if you are not taking care of yourself. A good diet of cucumber and garlic salad can be highly beneficial. Who doesn't love when a great tasting meal can have health benefits as well? This is an easy recipe anyone can make. We love natural ways to control health here at PurMEDICA. Here are ways that have been shown to work with high blood pressure. Do You Know Which Foods Can Lower Blood Pressure? HIGH blood pressure symptoms are rarely noticeable unless the condition is extreme. You could lower your hypertension risk by adding these simple foods to your diet. These foods can be a powerful tool in aiding in reducing blood pressure levels. Give them a try. Let us know which work for you. A Common Question From Many… What About Alcohol? The relationship between long-term use of alcohol and blood pressure levels is a major medical concern as alcoholism rates increase worldwide. Everyone wants to know how alcohol will affect them. This is no different for people who have high blood pressure. Check out this article to find out how alcohol will affect your blood pressure. Can It Be As Simple As Listening to Music to Lower BP for Some? HIGH blood pressure can increase the risk of heart attacks and strokes, but relaxing with music could be a natural remedy to lower hypertension. 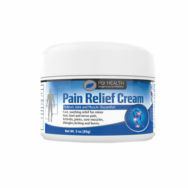 Studies are showing positive results for methods that can relax you. It's no surprise then that music can have an effect. 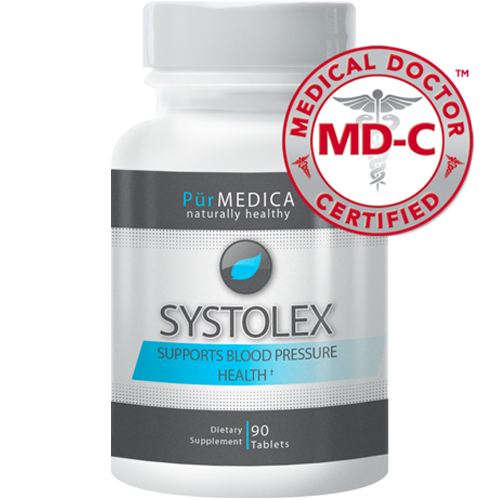 PurMEDICA's BP supplement Systolex uses Celery Seed extract for a more potent effect. But for mild cases of high blood pressure using celery in tea can be beneficial. Give it a try! Let us know what you think!